Located on the River Spree in the northeast of Germany, Berlin has a population of 3.4million and is a popular tourist destination for its modern history and young, tech culture. It is also well known for its many festivals, diverse architecture, wild nightlife and contemporary arts. In some parts of the city you will notice a double row of red bricks on the ground. These mark where the Berlin Wall once stood. The alternative neighbourhood Kreuzberg is full of colourful street art and boutique bars that encourage a vibrant atmosphere and culture. People visiting the many of the memorials and museums are silent and sombre. There are walking tours everywhere, especially around the Brandenburg Gate, Checkpoint Charlie and the East Side Gallery. Many of them are free! German is the main language in Berlin, but information is readily available in English and sometimes in French. Currywurst is everywhere and more than 70million curried sausages are devoured every year! There is also a Currywurst museum. Ampelmännchen is the green pedestrian signal that has been adopted throughout the city. The bright green icon can be found on souvenirs everywhere. 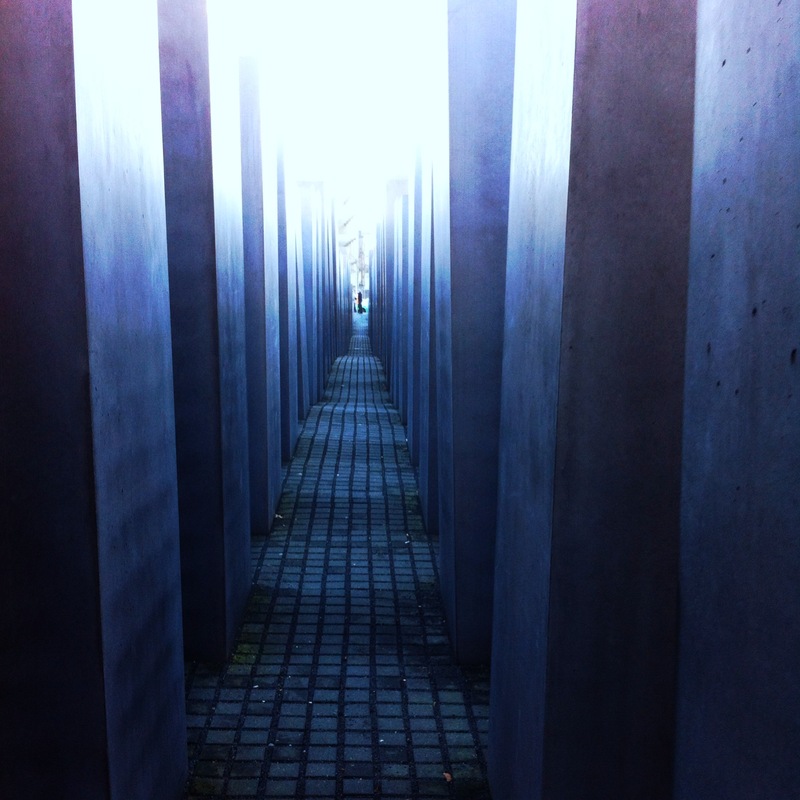 Visit the Memorial to the Murdered Jews of Europe, also known as the Holocaust Memorial, commemorates the six million Jewish victims of the Holocaust. The memorial consists of 2500 concrete slabs in uneven rows, varying in height, in a sloping field. It is as beautiful as it is haunting. The memorial museum under the slabs is free and very informative. It is well worth a visit if you want to meet the people and families directly affected by the Holocaust. The East Side Gallery is a colourful memorial to freedom. It sits along the Spree River and it the longest section of the Berlin Wall. The walls have been decorated by artists from all over the wall in amazing murals and graffiti in vibrant colours. Leave the city to visit the Sachsenhausen concentration camp was one of the main concentration camps of Nazi Germany. There is a free guided tour of the execution grounds, gas chamber Station Z and the barracks. Visit the five museums that sit in the Unesco World Heritage complex on Spree Island. The museums will charge you, but the buildings and architecture are amazing. Learn the history of the Brandenburg Gate, or Brandenburg Tor. It stands at the centre of the city and serves as an iconic symbol of German reunification. It is said that the winged goddess who rides the chariot astride the Gate watches over the French Embassy, as a subtle warning to the French after Napoleon Bonaparte “borrowed” her after he marched into Berlin. During the summer, hundreds of artists line the Oberbaumbrücke at the Open Air Gallery. It is a great place to see cultural exchange and pick up a unique souvenir. There are many museums worth a visit but definitely make time to see the Jewish Museum, the former headquarters of the East German Secret Police, now known as the Stasi Museum, and the Topography of Terror. Climb to the top of the rooftop terrace of Reichstag for some spectacular views of the city – it`s free! Reichstag is the very modern glass dome and historical building that is the home of Germany’s parliament. Check out a night club. Berlin has a fantastic night life that will kick off after 11pm and have you dancing well into the wee hours. Dating back to the 12th century, the city of Berlin is internationally renowned for its integral part in a number of significant wars throughout the last 400 years. The Thirty Years’ War, between 1618 and 1648, left one third of Berlin’s houses damaged of destroyed, but initiated policy promoting immigration and religious tolerance. Napoleon Bonaparte marched into Berlin in 1806 following the War of the Fourth Coalition. He, and the French, granted self-government to the city and the economy and population expanded throughout the Industrial Revolution, finally becoming the capital of the German Empire in 1871. A republic was proclaimed in Berlin after the World War I in 1918 and throughout the 1920’s Berlin became internationally celebrated for its cultural transformation. On 30 January 1933, Adolf Hitler and the Nazi Party came into power, effectively rescinding half of the 160,000 strong Jewish community. Thousands of the city’s Jews were imprisoned in the nearby Sachsenhausen concentration camp or sent to death camps, such as Auschwitz. Large parts of Berlin were demolished in the air raids between 1943 an 1945, during World War II and during the Battle of Berlin. After the end of the war, in 1945, Berlin was divided into four sectors, with Western Allies, United States, the UK and France, forming West Berlin and the Soviet sector forming East Berlin. Tensions between the two halves increased throughout the Cold War and eventually, on 13 August 1961 East Germany began to build the Berlin Wall between the East and West. Berlin was completely divided, with no one but Westerners allowed to travel between the two sectors. Families were split and most Easterners were unable to travel to West Berlin or West Germany. The Berlin Wall fell on 9 November 1989 after pressure from the East German population and the ending of the Cold War. The two parts of Germany were reunified in 1990. Mitte is the historical center of Berlin and known for its cafes, restaurants, museums, galleries and historic sites. This is where you will find the main train stations Berlin-Hauptbahnhof (Hbf) and Friedrichstrasse as well as the Brandenburg Tor, the Holocaust Memorial, Checkpoint Charlie and Museum island. and Ku’Damm (short for Kurfürstendamm). Ku’Damm is situated along with Tauentzienstraße and is one of the main shopping streets in former West Berlin, especially for luxury goods. East Central includes Friedrichshain, Kreuzberg, Prenzlauer Berg and is generally associated with youth culture, artists and many immigrants. It is trendy, full of bars, clubs and cafes and popular with students, artists and media professionals. North includes the suburbs of Tegel, Pankow, Weißensee, Gesundbrunnen, Wedding and the beautiful, spacious, old towns of Spandau and Reinickendorf. East is known for its East German history and the home of the former Stasi prison and a museum at the sit of the 1945 surrender to the Soviet army. It includes suburbs Lichtenberg, Hohenschönhausen, Marzahn, Hellersdorf. South is a mixed bag of the greenest, richest and wealthiest boroughs, Steglitz, Zehlendorf, Tempelhof, Neukölln, Treptow, Köpenick. Müggelsee and the nice old town of Köpenick can be a great day trip on bikes and using the S-Bahn. The public transport system is simple to navigate and will take you almost anywhere in the city. There are buses, trams, urban rail and underground trains, regional rail transport and ferries. You can purchase tickets from a vending machine at metro stations. A Single Ticket allows you to transfer between trains and buses in a one direction within a two hour period. There are three fare zones: A, B and C.
Berlin City Tour Card: €16.90 per adult for Zones AB for 48 hours, €18.90 per adult for Zones ABC for 48 hours. €23.90 per adult for Zones AB for 72 hours, €25.90 per adult for Zones ABC for 72 hours. €30.90 per adult for Zones AB for 5 days, €35.90 per adult for Zones ABC for 5 days. Reduced fare tickets are available for children between the ages of 6 and 14. Dogs require a reduced fare ticket. Many attractions within the Mitte area can be reached on foot if you do not mind walking. The rule of thumb is that metro stations are generally about 10 min walk apart. The Berlin City Tour Card offers free travel with public transport in the entire city of Berlin in zones ABC plus at least 15% up to 50% discounts on 50 tourist highlights. Many people cycle in Berlin and there are many safe cycling routes. Deutsche Bahn’s Call a Bike is the public bicycle service that is a convenient way of hiring a bike. You can find the silver and red bikes scattered throughout the city. You must register a credit card with Deutsche-Bahn to use the service. They will deduct €5 which you can use for rentals. When you find a bike, simply call the telephone number given on the bike and enter the 4 digit opening code into the bike’s touch screen to unlock it. To return the bike simply lock the bike to a fixe object and select “return bike” from the touchscreen, then telephone the generated code to the control centre as proof that the bike was locked. Berlin Tegel Airport (TXL), located in the north west of the city, and Berlin Schonefeld Airport (SXF), located in the south of the city, are the two main airports that service Berlin. Both airports are well connected to central Berlin. From Schonefeld Airport to Berlin city centre, a taxi will cost approximately 40Euros. A cheaper alternative is to take the S-Bahn lines S9 and S45 from the airport train station to the city centre. Travellers who want to get to Berlin Central Station can take the S9 until the station Ostkreuz and then change to the S-Bahn lines S3, S5, S7 or S75 which stop at Central Station. Alternatively, the regional trains RE7 and RB14 are “Airport Express” trains which travel every 30 minutes between Schönefeld Airport and Berlin-Charlottenburg with stops at Ostbahnhof, Alexanderplatz, Berlin Central Station and Berlin-Zoo. It takes about 15 minutes to get to Ostbahnhof with the Airport Express and 30 minutes to get to Berlin Central Station. Note: Schönefeld Airport is located in fare zone C. To get to the city center an ABC ticket is required. Buses 162, 171, 735, X7, N7, N60, 163, and 734 run from Schonefeld Airport to Berlin’s city centre. A taxi ride from Schonefeld Airport to Tegel Airport costs approximately 50Euros. Berlin Tegel Airport is just five km from Berlin’s West district. A taxi will cost you approximately 20 Euro. The cheapest and quickest form of transport to and from Tegel Airport is to catch the TXL Express bus (€2.30 for 2 hours of travel) to Hauptbahnhof, Brandenburger Tor and Alexanderplatz. Buses run every ten minutes throughout the day or every 20 minutes after 7pm in the evening. Allow between 30 and 45 minutes to get to and from Alexanderplatz. You can connect to the S-Bahn and regional trains at Beusselstr and Hauptbahnhof. Alternatively, buses 109 and 128 connect Tegel Airport connects you to the underground network at Kurt-Schumacher-Platz (U6) or Jakob-Kaiser-Platz (U7) stations. The Expressbus X9 is a direct connection to Zoologischer Garten station. Berlin is linked with almost any European domestic and international destinations from the two main train stations Berlin-Hauptbahnhof (Hbf) and Berlin-Ostbahnhof. Regional stations include Berlin Zoologischer Garten, Alexanderplatz, Friedrichstrasse and Potsdamer Platz. Each of the train stations have a ticket office, lockers and a selection of shops, cafes and restaurants. Rail tickets, offers and fares can be purchased from www.bahn.com. International bus services operate to and from the Central bus station in Berlin called Zentraler Omnibusbahnhof (ZOB). Bus companies that regularly operate from ZOB to all major German and European cities include: Eurolines, Belin Linien Bus, Touring, Busabout, Berlinien Bus and Gullivers Reisen GmbH. Summer: June – August – Average summer temperatures range between 12°C/ 54°F and 25°C / 77°F. 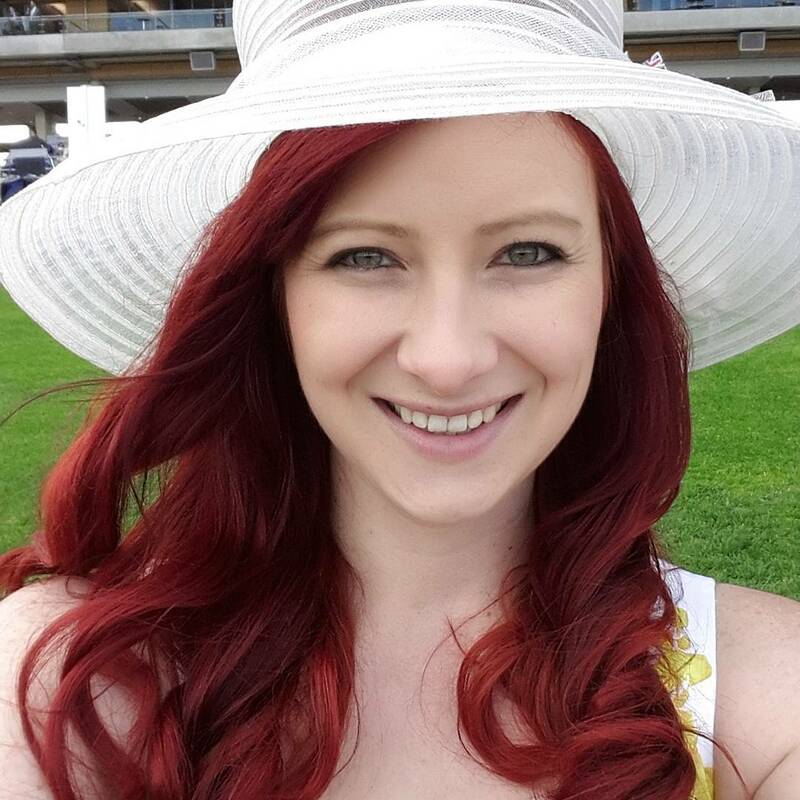 There is little rainfall in the summer months and long days with much sunshine. Spring & Autumn: March-May and September – October can be varied and cool. Average spring and autumn temperatures range between 2°C/ 36°F and 18°C/ 65°F. The temperatures drop drastically in November to an average of 4.7°C/ 40°F. Winter: With less than 4 hours of sunshine each day between December and February, the maximum temperature is only 10°C/ 50°F and the minimum temperature at freezing. Ensure you pack decent walking shoes and warm winter clothes if you plan to explore the city. IF there is any snowfall, it is generally light and will fall between in December and February. Holidays in Germany include: New Year’s Day, Epiphany in January, Easter Weekend, May Day on 1 May, and Ascension weekend, Whit Monday in June, Day of German Unity on 3 October, Christmas Day, Boxing Day. 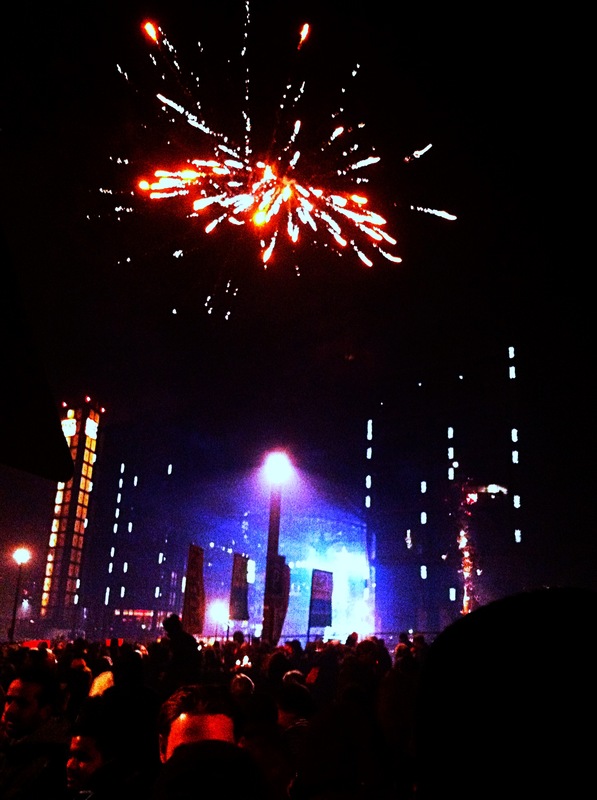 New Years Eve is a crazy, loud festival of fireworks and partying Berliners. Check out my recommendations on what to do in: Amsterdam, Bali, Berlin, Brisbane, Budapest, Cambridge, Canberra, Cappadocia, Chamonix, Copenhagen, Dubrovnik, Istanbul, Kotor, Kyoto, London, Lyon, Madrid, New York City, Paris, Riga, Scotland, Tokyo, and Washington D.C.
Glad I finally checked out your blog — love how extensive and detailed your travelogues are! I feel like everyone seems to be posting those ‘X essential travel tips’ type posts (myself included) nowadays… presumably to keep up with short attention spans, haha.